In this fast growing world, everyone is interested in making a passive income. The first and the foremost thing needed for passive income is passion. Because without passion, you will not be consistent in your blogging journey. I have seen many people stop blogging becase they got bored of what they are doing. It is the lack of passion towards what they are trying to achieve througn their blog. So here am including some of the basic things you should know before you start a blog. It’s easy to start a blog but it is very difficult to maintain in a proper way to increase your passive income. You have to always read and read until you get 100 % perception about a topic. 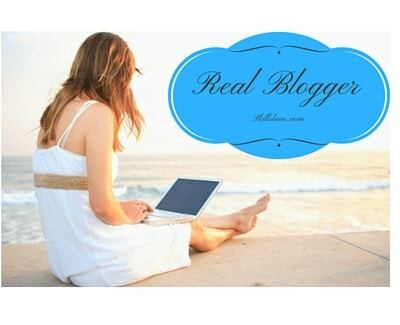 Then only you can become a “Real Blogger”. First, you have to decide your domain name for your website. Make sure that there should be some meaning related to your website. Then only the right customers can come and visit your website easily. The website name should easily spell and remembered. You fixing the domain name, you should think about the contents which you are going to write on your blog. Then only the domain name suits your blog. You can also get domain names for free from Godaddy, Bluehost, Bigrock etc when you get hosting packages from them. But I always prefer Bluehost and HostGator. After selecting a domain name, you need a proper web hosting. You can go for Bluehost, if you are interested and for a long run. You will get free domain name as well. The next good option and easy WordPress managing web hosting of HostGator. You can go for that. If you are looking for an easy and low price as you are a starter in blogging, you can go for DreamHost. For installing WordPress first, you have to download the latest WordPress software from the Installing WordPress (eg: WordPress Installation in Ubuntu). If you follow the steps properly, your WordPress installation is done successfully. Now you can access your dashboard. All the things that are given in the dashboard are easy to follow and understandable. You can select any theme from ThemeForest. It has many SEO optimized attractive themes based on various niches. If you want free themes you can get it from the official WordPress website also. Always select responsive theme so that it is easy to the people who is using iPads, mobile phone or even different size of laptops. You have to help the people those who urge to get ideas from your website. You have to write the information very precise and clear. There should not be any redundancy content in your site. You have to write the content by using keywords. Contents should be attractive and true to knowledge. For getting traffic for your website, you have to follow people on social media websites like Twitter, Facebook, Google+ etc. Then only people will come to know about your site. You have to tweet and post for every relevant information of your website. You can increase traffic by increasing email list. An email campaign for your followers will increase your website presesne and revenue if you are trying to sell something on your website. It’s the time of smart workers. People are giving away money for getting good promotion. You can promote your content in Facebook, Google or other social media sites using their paid ads option. As a result, your website page ranking will increase easily. You will get thousands of followers on Facebook, Twitter etc. Above steps are the important and relevant information that I felt as a blogger. I wrote it for you very precisely and clearly. You have to start blogging and feel the same as I felt. So why are you waiting for and go and start a blog today. See you through blogging!!! Hello! How are you? I would like to share that I have used for a while the onlinelogomaker.com website to create and download my logos for free! Maybe it would be nice to include this tip in your article ;) Thankss! Thanks for the info Luanna. We will include it!